Diatomaceous earth is a type of natural sediment, which is chalky in appearance and is made up of silica-based cell walls of dead diatoms. 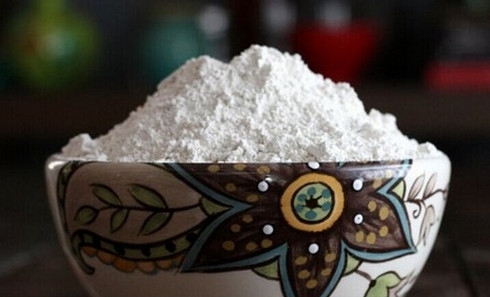 It is known by the name of diatomite as well. Diatoms are single-celled algae which are microscopic and mostly found in marshes, oceans, ponds and lakes all over the world. These cells have silica skeletons which display a number of intricate structures and have a diameter of about 10 to 200 microns. Diatomaceous earth is available in food-grade form and has been approved for use in the manufacturing and processing of many household food items. Although diatomaceous earth is a useful organic product, its benefits are not based on scientific studies and are rather founded on the personal opinions and experiences of the people who have used it. There are a number of people who wonder about the diatomaceous earth food grade side effects. The following is an attempt to answer these concerns. The FDA considers diatomaceous earth as a filter aid in the manufacturing of other products and is harmless in that regard. But it hasn’t been approved for human consumption by the FDA, and most of the testimonials of the product suggest that there is no major health issue associated with it and there aren’t any known diatomaceous earth food grade side effects to report too. There have been no reports of toxic effects after ingestion of this product from the International Programme on Chemical Safety. However, overconsumption of anything is not a good idea and this is true for diatomaceous earth as well. Keep its consumption down to 1 teaspoon per day mixed in a drink. Only buy food grade diatomaceous earth for eating purposes and consult with a doctor before using it as a supplement if you are pregnant or breastfeeding. Inhaling diatomaceous earth can cause symptoms like bloody nose, irritation in the nose, eye and throat, coughing, sneezing and breathing difficulties which are a sign of temporary respiratory irritation. Children, smokers and asthma patients are more susceptible to these side effects of diatomaceous earth. However, removal of exposure results in improvement of symptoms. At extreme temperature, diatomaceous earth converts into crystalline silica which causes lung disease. Exposure to this form of diatomaceous earth is an occupational hazard meaning that only those workers who come in contact with it on a consistent basis are at risk while casual contact is harmless. As there haven’t been any reports of well-known diatomaceous earth food grade side effects, trying this product to gain good health is an option worth considering. However, use only food grade diatomaceous earth because other types of this product are artificially treated and are thus not safe to use. There are 14 trace minerals present in food grade diatomaceous earth. Amorphous silica is the main component in food grade diatomaceous earth and is present in an amount of around 85%. The health benefits that can be obtained from silica are well-documented and have been backed up by some research as well. The following are some of the diatomaceous earth health benefits that have been reported by some of the users who have included it in their diet, so it is possible that your experiences differ from them. In a glass, pour around 6-8 ounces of juice or water. Add ½ teaspoon of diatomaceous earth in this glass of water or juice. Stir the diatomaceous earth into the glass of juice or water. Diatomaceous earth is not soluble in water and thus would not dissolve but will remain suspended in the liquid unless you give it time to settle at the bottom of the glass. Make sure to drink the liquid as soon as you have stirred the diatomaceous earth into it. Drink this liquid daily before a meal. It is best to limit the daily consumption of diatomaceous earth under 1 tablespoon a day and never to exceed it under any circumstances. It is best to take the advice of poison control staff in your area if you have any doubts that someone has consumed an unsafe amount of this nonfood substance. For people interested in trying diatomaceous earth, it is recommended that they begin with low amounts like ½ tsp and increase their intake slowly until achieving a level they are comfortable with. It is important to stop the diatomaceous earth from settling at the bottom so drink the liquid immediately after it has been mixed. Server responsed at: 04/22/2019 6:53 p.m.